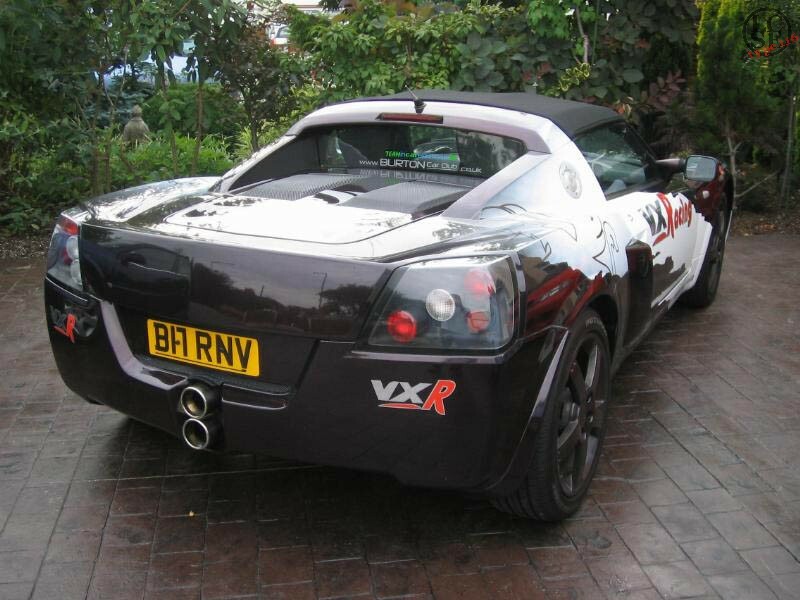 Phil Barnfield's VX. 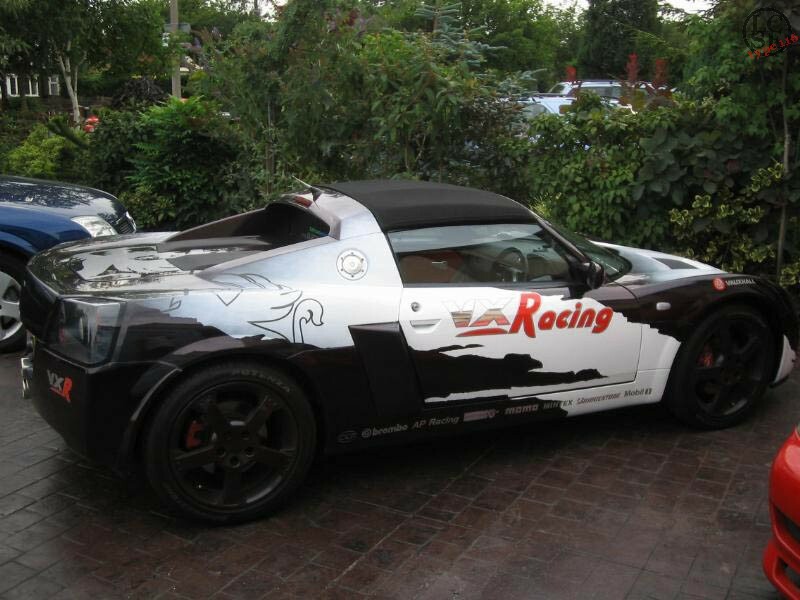 He was inspired by the vx racing liveries from the vx220 sprint and since it was originally a black car, he decided to keep that colour but add to it. To make sure it looked the part they needed to paint the 'tear' effects on the side and also the bonnet, and blend the white out to the black. It is a base vauxhall white, ontop of a Volkswagen magic black (multi coloured black) with larger red metal flakes in the laquer. This gives the red sparkly effect. The tears were created using a semi-adhesive vinyl mask and painted in between. 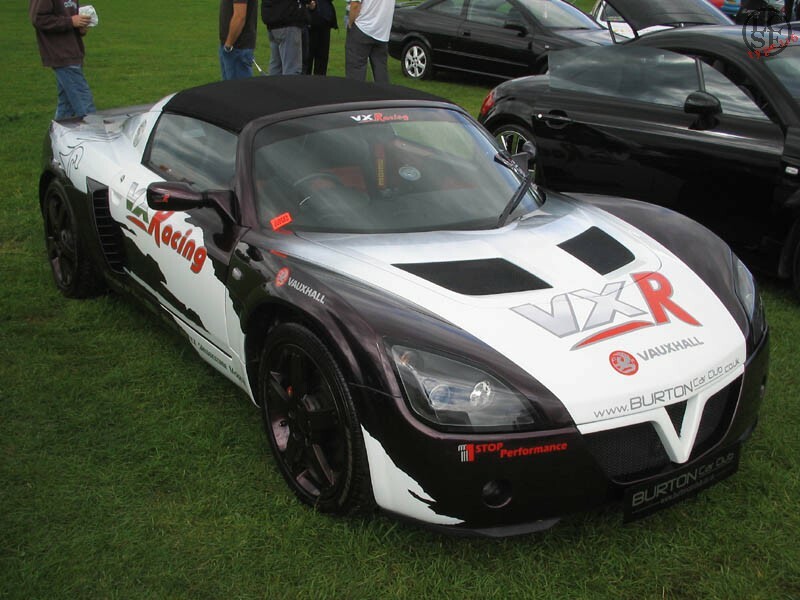 The rest of the car was then vinyled accordingly to the vxr liveries.